A new variation of the Amazon Blaze rumor is upon us. The last time I covered this rumor, my info came from an unsubstantiated Chinese newspaper. This time it's coming from a credible source. Earlier today Bloomberg reported that they have 2 creditable sources who have told them that Amazon is indeed working on a smartphone. They said it's going to run Android and that it will be a phone, but that's about as far as the rumor goes. Amazon is supposedly working with Foxconn on the new phone, but that doesn't tell us anything. Fosconn is one of the largest manufacturers in the world, so saying that they're working on a phone is about as important as saying the phone will have a battery and a screen. Now, this rumor is rather thin, but it did come via a business source, and Bloomberg padded out the story with a lot of useless info on patents which they also reportedly got from their sources. But in spite of the thinness, I think this rumor is true. Bloomberg still has enough of a reputation for not posting unfounded rumors that I trust them. That being said, I do think it's somewhat funny to describe the rumor as: "Amazon Said to Plan Smartphone to Vie With Apple", which Bloomberg did in the title. 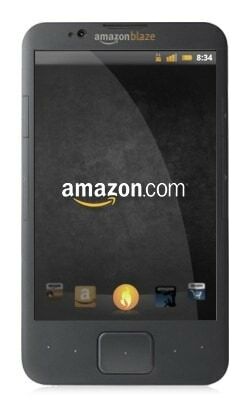 If Amazon does a smartphone I'm pretty sure it won't be in the same price range as the iPhone. We'd be looking at a sub $200 device, not anything with specs anywhere near the $650 iPhone 4s. Amazon to Open Local Site in the Netherlands This Year? I agree on the price thing. If you look at Google, they’re working hard to lower the price and sell direct to consumers, avoiding carrier subsidies/contracts. Amazon already sells a lot of unlocked and prepaid phones that way.